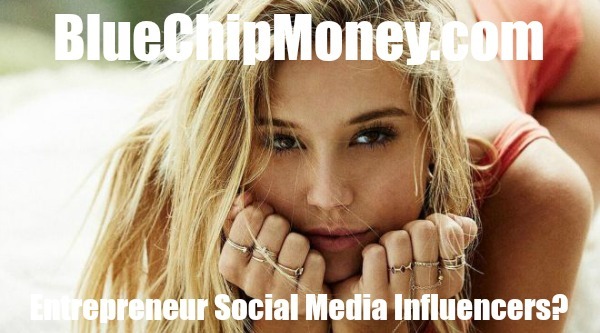 Millennium 7 Publishing Co.: Entrepreneur Social Media Influencers? Over the past week, Barrett Wissman has been working with the model, social media star and actress Alexis Ren to launch her own brand, REN Active. Many social media stars have launched merchandise: most is usually the typical banal array of t-shirts, hoodies and caps sold at concerts and events by stars and celebrities. What distinguishes REN Active is that it has been beautifully crafted and designed in the very same minimalist aesthetic and style that her 10 million followers have already come to know from her. Alexis Ren has not only launched products, but a genuine brand with a message. Related Article: YOUR Social Media Influencer Internship? 21st century society has become accustomed to the newly-formed celebrity of emerging You Tube talent, Instagram "hotties" and blogging fashion and beauty mavens. Over the past several years, so-called "digital talent" have matured from being the millenial outliers of the media world to being becoming part of daily life for middle America and the rest of the globe. Unlike the awe fans feel for traditional celebrities, actors and pop-stars, followers of social media talent are immersed inside the daily life and routine of the influencers they follow. Because of this direct relationship between follower and influencer, a global marketplace has developed between brands and social media stars buying and selling their influence over the millions of constituents they react with on a daily basis. An entire economy of agents, agencies, media networks and brand consultants has emerged around influencer marketing. Because technology is so closely linked with social media, never before has it been easier to target any particular demographic or measure the direct success of any influencer-based marketing campaign. In the "good old days," it was just a well-founded guess how successful an expensive ad campaign gracing the pages of Vogue might have been. Today, a brand knows exactly how many consumers have clicked through to, commented on or "liked" any digital social media campaign they have invested in. After realizing the power of the newly-minted currency possessed by social media stars, the next logical step in their evolution seems obvious. They are not only the media and entertainment "pitchmen" of the 21st century, but have the capability of becoming brands in and of themselves. Much like how 20th century tastemakers Oprah Winfrey and Martha Stewart became moguls creating media and product brands around their lifestyles through broadcast and print, influencers are poised to create the next mega-brands through social media. Why only do it for others if they can also do it for themselves? Related Article: The Economy Influenced By Social Media? Over the next couple of years, major brands will be created by social media stars. The first wave of internet brands created household names like Amazon, Google and Netflix. The second wave of digital brands was dominated by the onslaught of social media giants like You Tube, Facebook, Instagram, Twitter and Snapchat. Now, the stage is set for a select cadre of social media stars to transform their massive followings into lasting franchises. Over the last couple of years, we have seen the brand-building successes of beauty blogger Michelle Phan and actress Jessica Alba. Phan's beauty subscription box Ipsy. has already raised capital at valuations in the hundreds of millions. Alba's now well-known brand, The Honest Company, can be found in virtually every market across the USA. Several social media stars have introduced new brands in the last year that are having unprecedented successes. You Tubing brothers Logan and Jake Paul have separately launched enormously successful merchandise businesses. Beauty and fashion blogger Sazan Hendrix has introduced her own lifestyle subscription box, Bless Box. Bless Box delivers a monthly selection of beauty, lifestyle and home products to not only her loyal fans, but now to thousands of new followers who love the service. Related Article: High School Dropout Social Media? Major ecommerce and brick and mortar retailers are now also looking to partner and create joint ventures with social media stars and celebrities to help launch new businesses. From my own experience representing "new-age" digital talent, Walmart, Jet.Com, Target and even traditional department stores are moving into the game. A new class of incubators, entrepreneurs and venture capitalists are also emerging, seeing the opportunity to partner with social media talent by contributing their expertise, capital and management skills to help launch new brands. Guest Authored By Barrett Wissman. Barrett writes about the entertainment business, culture and the arts. He's an avid entrepreneur, philanthropist and concert pianist and the Chairman of IMG Artists, the global leader in digital brand management and the performing and cultural arts entertainment business. With offices in the US, Europe, the Middle East and Asia. IMG Artists manages digital personalities, celebrities and artists, tours artists and groups of all genres, manages and owns branded arts and lifestyle festivals and events and has an active venue management and project consulting business worldwide. He writes about culture, entertainment, social media and the entertainment industry, the travel and culinary adventures he experience's on the road and the world of philanthropy in the arts and entertainment industry. Follow Barrett on Twitter. Related Article: 7 Top Social Media Influencers Killing It? "Will Alexis Ren and her fellow social media standouts be the Ralph Laurens, Oprah Winfreys and Donna Karans of the future? No one really knows, but it is certain that they will have an impact on the landscape of media, entertainment and commerce in the foreseeable future.."